Share joy with seniors and adults with disabilities by volunteering at our Adult Day Health Center in Everett. Responsibilities include greeting and socializing with clients during programs and transition times between activities, assisting activity leader with set up and facilitation of group programs, and encouraging clients' participation. Our non-profit, Full Life Care, is the largest Adult Day Health organization in the Northwest, especially committed to serving low-income elders and adults with disabilities, maintaining their dignity and independence. At Adult Day Health Centers, participants enjoy educational and recreational programs in a social environment that nurture the mind, body, and spirit, in addition to receiving skilled rehabilitative and nursing therapies and other health and social services. Consistent weekly shift for 1-2 hours / day (minimum) for at least 3 months, during Open Hours (Monday – Friday, 8:30 – 5:00). Exact times negotiable, based on volunteer’s personal schedule and Day Health Center's needs. 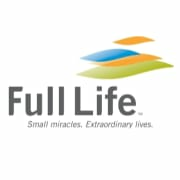 Email Volunteer Program Supervisor, Jessica (jessicac@fulllifecare.org) to inquire about scheduling availability and receive a new Volunteer Application.